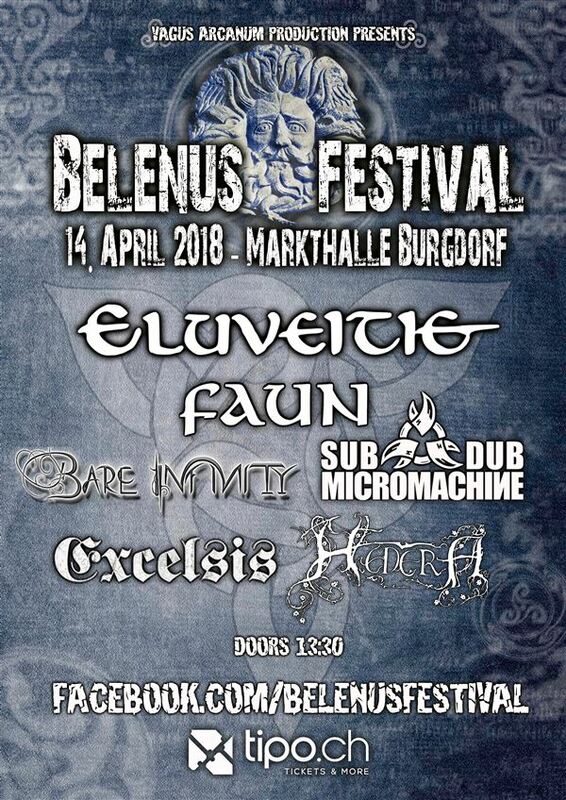 The 2018 Belenus Festival is just a few days away and will be taking place at Markthalle in Burgdorf, Switzerland. Featuring legendary folk metal acts Eluveitie and Faun. Tickets are currently available via https://tipo.ch/BelenusFestival with the doors opening SATURDAY: at 13:30. The minimum age limit for the event, a 16+. You can also enter for a chance to win a set of tickets on the festival’s official Facebook page, be sure to check out those details below!